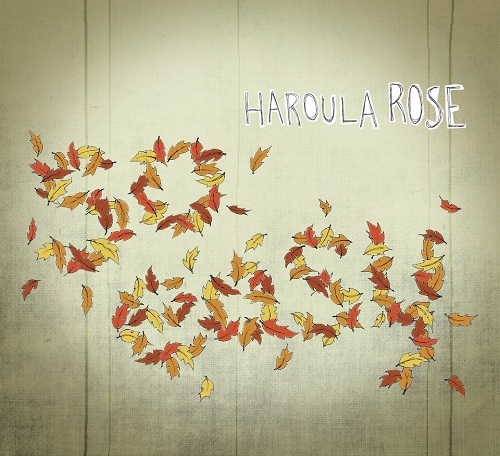 Singer/songwriter Haroula Rose delivered one of 2011’s most charming debuts, These Open Roads, her reflective, mostly acoustic-folk songcraft coupled with an unaffected empathy in her singing endearing her as an artist of depth and considerable promise. The five songs that comprise So Easy (released earlier this year) convey much the same charm while in some moments illustrating a bit more eclecticism, including broader sonic textures and some fuller-band arrangements. The title track, in particular, is an immediate standout with an irresistibly poppy, Beatlesque vibe, while “Only Friends” evokes the sort of wistfulness expressed in scenes of unrequited movie love. With scarcely more than a piano accompanying her voice, Haroula Rose delivers a hauntingly beautiful, soul-clutching rendition of “Wichita Lineman,” distilling its underlying sense of lonesome desolation to its barest essence. Not only should this performance make the song’s composer Jimmy Webb proud, but it also deserves to be considered among its most definitive versions. Altogether this modest set is reflective of an artist who is making good on the potential she displayed on her debut while growing more imaginative and confident with her talent.